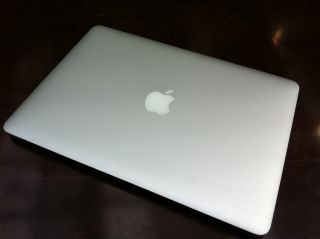 Apple's 2012 MacBook Air refresh to include 15-inch model? Apple looks set to refresh its MacBook Air line up in early 2012 but the latest rumours suggest it will also add a 15-inch model to the range at the same time. The tip comes from Digitimes, which cites supply chain sources as the foundation for the information. The refresh will see the 11-inch and 13-inch laptops get a bit of an update, with the existing models expected to get a price drop over the coming months in preparation. Apple's slim Air range has seen increased competition from Intel's Ultrabook project over the course of 2011, with the chip maker's specifications including high performance computing in a slim, stylish package. Digitimes' isn't always the most reliable tech outlet, but this isn't the first time we've heard talk of a 15-inch Air with previous rumours suggesting that the notebook was in the final testing stages. The company's MacBook Pro range is also set for an overhaul in 2012, with some rumours suggesting that the Pro design will be brought into line with the Air's idiosyncratic wedge-shape.